The official Benoda Specimen Book has arrived! Containing glyph maps, tips, history, and other tidbits of the Benoda contextual typefaces. 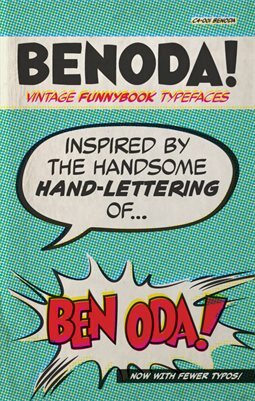 Be the first kid on your block to experience the joy of Benoda, the world's most inescapeable comic book lettering typeface family!